Hubbell's Compact Pendant Stations are typically used to control industrial cranes and hoists or the remote control of industrial machines. This high-quality pendant station features a tough molded polymer housing that meets the most rigorous requirements of industrial applications and their environments for control of electric hoists. The compact pendant is rated NEMA 4X when used with the cord connector kit.  Safety Yellow high impact polymer enclosures.  A compact pendant station engineered to fit the hand comfortably.  Choice of single-speed, two-speed, or on-off capabilities. 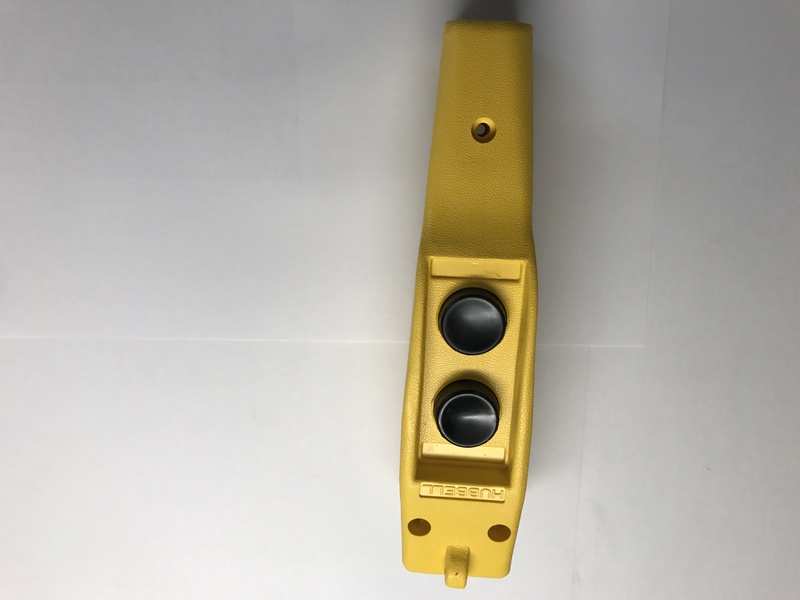  Mechanical interlock on reversing stations prevents actuating both pushbuttons simultaneously.  UL and CSA listed.  Optional - Cord Connector Kit - to permit use in NEMA 4X watertight, dust-tight, and corrosion resistant applications or for outdoor use.